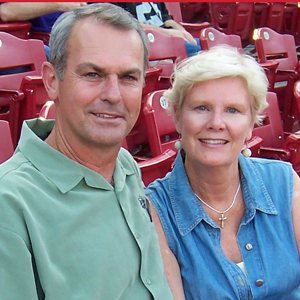 After retiring in 2003 from coaching baseball at the University of Kentucky for 25 years, Keith served on two missiontrips with SCORE International in the Dominican Republic and realized God was calling him into the sports ministry mission field. Sharon has also made this transition with Keith to SCORE. She ministers to coaches’ wives, writes the newsletter, keeps their home office running smoothly, and helps with Keith’s E-mail devotionals. Keith feels blessed as he reaches out to hundreds of college and high school baseball coaches through his biweekly devotions. He spends most of his days ministering to coaches either over the telephone or in person. Since 2004, Keith has spoken to thousands of coaches and players in 14 states and the Dominican Republic. God has blessed the Madisons with many opportunities to share His Message of love and reconciliation. Keith has also been inducted into many Halls of Fame. KY high school Athletic Hall of Fame in 2006.